NBA 2K11 and Bridge It are this week's new additions to the OnLive PlayPack. The PlayPack is now at 141 titles and growing. NBA 2K11 is a title that was until now available as a PlayPass title on the OnLive Marketplace for some time, the PlayPass for the game costs $19.99 US ($13.99 PlayPack) and £14.99 UK (£10.49 PlayPack). You can also rent the game. The price for a 3-day rental is $5.99 (£3.99 UK) and $8.99 (£5.99 UK) for a 5-day rental. Of course you can also take 30% off the rental prices for PlayPack subscribers. NBA 2K11 is a basketball game with the NBA licence which grants its publisher 2K Sports access to NBA teams and player likenesses. 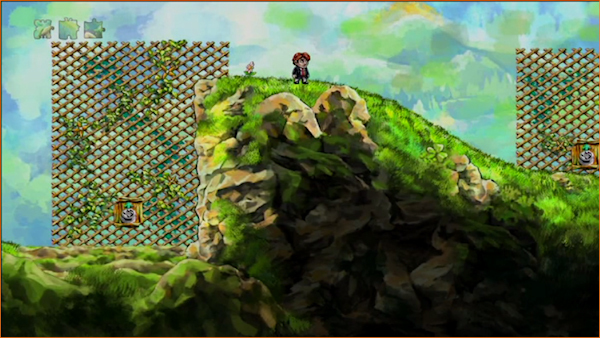 The game was developed by Visual Concepts. NBA 2K10 is already a part of the PlayPack and NBA 2K12 was released on the OnLive cloud gaming service as a PlayPass title a little over a month ago, just in time when the NBA lockout ended and the new shorter NBA season started. NBA 2K11 requires a 2K Sports account to access online features on OnLive. NBA 2K9, the #1 selling & #1 rated NBA videogame, set the standard for next generation basketball videogames, and NBA 2K11 surpassed that by delivering an even better basketball experience with all-new gameplay components, out-of-this-world graphics, even more realistic Signature Style animations, all-new presentation elements and an unrivalled online system. You can play the free demo, rent and buy NBA 2K11 for the US powered by OnLive. You can play the free demo, rent and buy NBA 2K11 for the UK powered by OnLive. Bridge It is a bridge building simulation puzzle game published and developed by Chronic Logic. In Bridge It, a stunning, beautiful world awaits as you take on the challenge of bridging the chasm. Can you solve the puzzles and avert disaster? Based on the award winning Bridge Construction Set (Pontifex II) and using the Auran Jet 3D Engine, Bridge It offers a host of real time effects that surpass many pre-rendered scenes. You can play the free demo of Bridge It powered by OnLive. Good: The envious looks of pretty much everyone as you sit playing Assassin's Creed: Revelations on public transport. I’ve mulled over quite how to approach this review countless times – do I review the Phone? The OnLive Android App? How the phone works? After writing and rewriting this more times than I care to remember, I am (for now at least) going to cover how the OnLive Android App and the Xperia PLAY interact and what my thoughts are having now used them together for just over a week. If you’ve never heard of the Xperia PLAY you may be wondering quite why any Android phone is receiving a specific review here. Well, the Xperia PLAY was released in the Spring of 2011 with the goal of succeeding where other companies had failed and finally nailing the “Gaming Phone” market. It’s a fully functional and frankly pretty damned fantastic Android handset in its own right, however the ace up the sleeve of this phone is the fact it slides open to reveal an integrated gamepad complete with touchpad-based analogue sticks. Seems pretty ideal for OnLive doesn’t it? Well OnLive thought so too and shortly after the Android client came out they released an update to add support for the inbuilt controller. There were already some third party tweaks doing the rounds to attempt the same but the addition of official OnLive support for an item I’d quite fancied for a while pushed me over the edge and I decided that I’d go and get myself one, which of course means you lovely people get a review out of me. 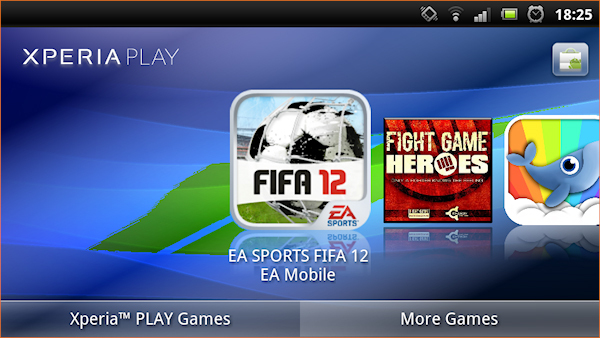 The Xperia PLAY works just like any other Android device does on OnLive. Upon launching the OnLive App and signing into OnLive you’re presented with the familiar interface and can merrily use the touch screen to play any touch-enabled game. Just like every other Android device, controls on touch-enabled games are handled via an overlay, as illustrated in the above picture of Flock. 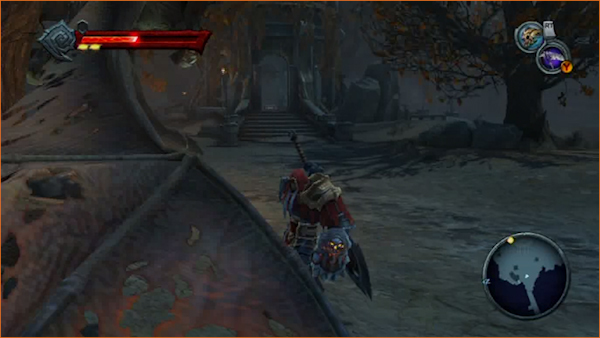 In some games such as Darksiders this results in a swarm of touch buttons taking up almost the entire screen. It’s here that the Xperia PLAY comes into its own. Compare these two screenshots below both from pretty much the same part of the game. One is using the touch overlay and the other is the result of sliding out the Xperia PLAYs’ gamepad. Unless you have tiny pin-like fingers there is absolutely no contest which of the two screens would result in a more enjoyable gaming experience. I think the touch controls for OnLive are fantastic for tablets but on phones you really need to have the same size hands as a baby flea in order to not randomly mash every button on the screen constantly. 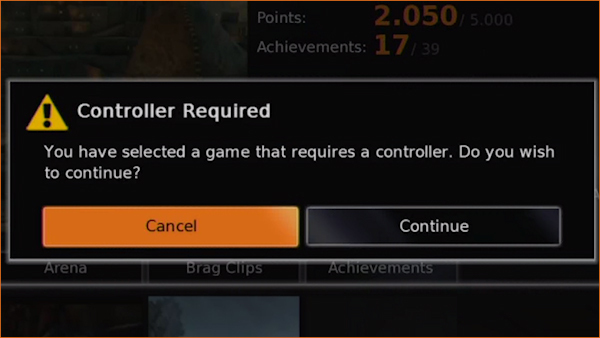 Now its time for the fun part; simply slide the controller out again and click “Continue” (using either the touch screen or the controller) and you can play! That’s right, you can now play pretty much any title on OnLive using just your Xperia PLAY. 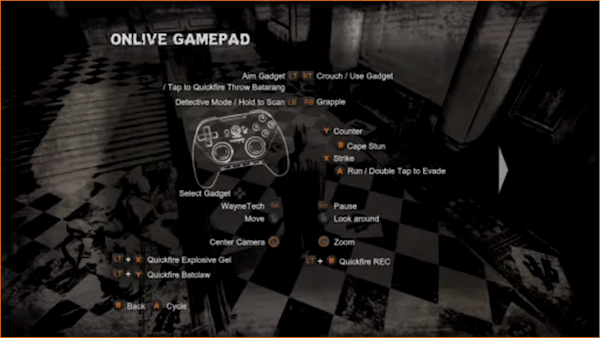 No Universal OnLive Wireless Controllers, no third party dongles or software, every controller enabled title (Except Borderlands and Duke Nukem Forever which are “presently not available for this platform”) works! Obviously you don’t need reminding that as OnLive is cloud gaming you receive the same experience on every platform, but there is something amazing about sitting there using just a phone and playing Super Street Fighter IV: Arcade Edition or Driver: San Francisco with PC-perfect graphics and all the same features that you’d get playing it on your MicroConsole or PC, even including multiplayer. 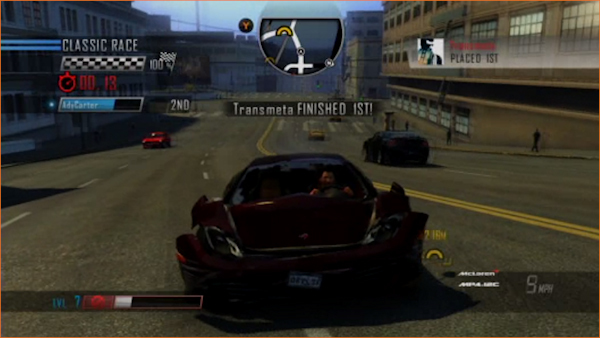 That screenshot you see there was OnLiveFans forum member TransmetaNiven giving me a resounding thrashing in a spot of Driver: San Francisco multiplayer. 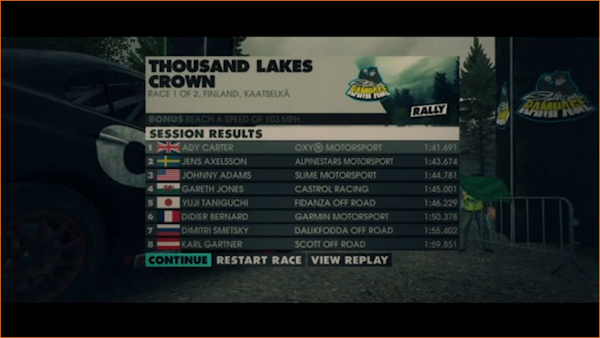 Now the fact that someone has beaten me by such a massive lead could mean two things: firstly that I am terrible or secondly that playing OnLive via the Xperia PLAY is a little problematic. As it happens it's a combination of both these things. There are two main issues I have when using the Xperia PLAY with OnLive. Interestingly both are kind of linked. Having actual analogue sticks on a slide out section of a phone wouldn’t really be feasible so they opted to use touchpads. These pads are in all honesty pretty fantastic and work amazingly well; however, they do require a heck of a lot of adjusting to. They work on the same principal as an analogue stick and basically the further out from the center you hold the touchpad the further you are “pushing” the stick. They’re perfectly responsive and work really well, they just require a lot of getting used to. They do however work fantastically for some games. 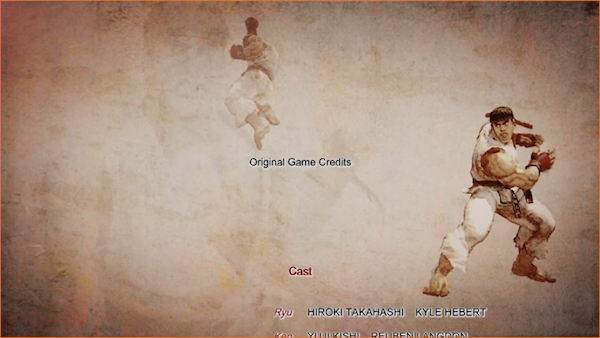 It's no secret that I am TERRIBLE at Super Street Fighter IV: Arcade Edition, however the first time I played it via the Xperia PLAY I managed to complete the single player game, not only for the first time ever, but without losing a single round. Executing quarter- and half-circle moves was so amazingly fluid using the touchpad I was amazed! The second issue which is related to the existence of these touchpads is the fact that they are not “clickable” meaning that there is no way to press R3 and L3. This isn’t a massive deal in games such as Driver: San Francisco where R3 is simply the car horn or the Assassin's Creed games where it doesn’t really do anything but in titles such as Batman: Arkham City and Deus Ex: Human Revolution these two buttons are pretty bloody useful and the lack of them results in the game being more or less unplayable. I’m confident that OnLive or a third party will come up with some way to address this. Every other button works fantastically, the guys at OnLive even cunningly overcame the lack of L2 and R2 buttons by re-purposing the Volume Up and Volume Down buttons on the handset (located just slightly further in than the L1/R1 shoulder buttons). 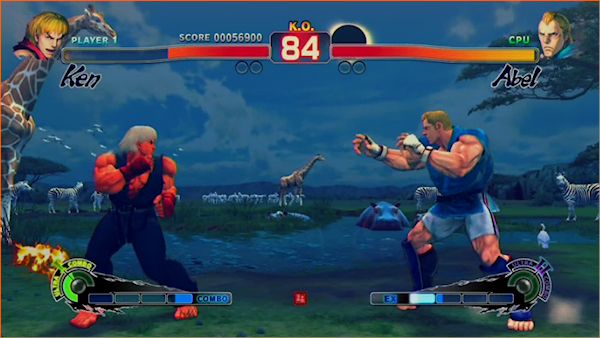 The start and select buttons are present and working as intended. Fantastically the Android menu button has been mapped to the “OnLive” button (the one usually located in the centre of the controller) meaning you can easily pull up the OnLive overlay and also use short-cuts such as OnLive + Circle to record a Brag Clip. Hardware wise its impressive, the device feels well built and OnLive itself runs without issue. One hour of solid OnLive play (via Wi-Fi) took my battery from 87% to 59% so a decent guestimate would be that you can get 3-4 hours of OnLive gaming out of a fully charged battery. Unsurprisingly game play is better over Wi-Fi than over 3G. In fact the only times I’ve managed to play via the cellular network is when I’ve had a HSPA/3G+ connection. There are US versions of the Xperia PLAY which support 4G but to be quite frank as the UK and the US seem to enjoy calling the same technologies by different names for all I know there could be little difference between HSPA and 3G. The point I’m trying to make is that Wi-Fi works fantastically and the phone network either doesn’t let you connect at all or it does and works fantastic. I’ve never managed to find a middle ground there. If you like your OnLive gaming loud then you’ll likely be incredibly impressed as the speakers built into the Xperia PLAY probably put your stereo system to shame; they sound amazing and are so incredibly loud that even having the volume set to one is enough to anger my Mrs. There are a couple of things I’d like to see happen with this frankly fantastic union of OnLive App and Xperia PLAY hardware that would earn it a perfect 10. Firstly I’d love to see a solution implemented for the aforementioned L3/R3 issue and secondly I’d like to see the OnLive App integrated into the Xperia PLAY games launcher. This is a piece of software that pops up if you slide the keyboard out (when not in a game) and presents you with a list of all Xperia PLAY compatible software both on your phone and on the Android Market. It’s a simple enough job to list applications in there and aside from being handy for us OnLive fans it would also advertise the service to every single Xperia PLAY owner out there. Let's hope OnLive will fix this little niggle. I like this device, I really do, it’s a fantastic phone and a fantastic device for OnLive. The lack of certain titles and the missing L3/R3 is a shame but by no means a deal-breaker. I’m keeping a close eye on what some talented people are coming up with to support this and have heard some positive comments around the use of GameKeyboard to remap various functions in order to run keyboard and mouse only games. One of the biggest questions that people have is around just how good this is for playing most OnLive titles. Well the (totally unhelpful answer) is that it varies. Provided the game doesn’t require L3/R3 and provided it isn’t overly busy then it’s usually a fantastic experience. Some games clearly just weren’t meant for a small screen and result in a horrifically packed looking screen full of indecipherable text. Titles such as Driver: San Francisco, DiRT 3, Braid, EDGE, L.A. Noire, Super Street Fighter IV: Arcade Edition and Pro Evolution Soccer 2012 have all been fantastic fun for me and perfectly playable. I’ve struggled slightly in the Assassin's Creed games due to still not being quite as precise with the analogue pads as I could be, and I’ve found the likes of Saints Row: The Third and Batman: Arkham City were best played with the sole intention of collecting items or mooching around as I found anything more taxing to be pretty tricky. This is a hard review to sum up. Personally it's the best phone I’ve ever had and, thanks to OnLive, probably the best gaming hand held I’ve ever had. The reliance on Wi-Fi for OnLive and inability to play certain games due to an unexplained restriction or lack of certain buttons may be a deal breaker for some. 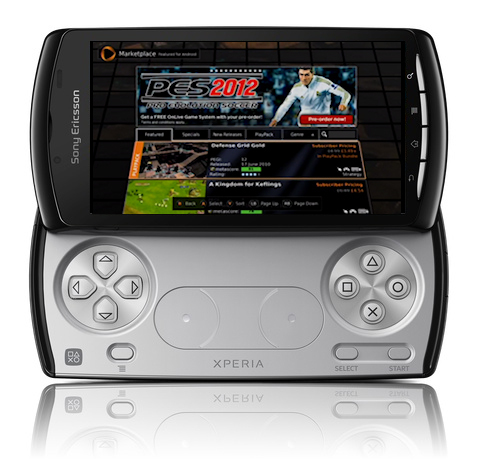 However if you love OnLive and need a new phone you really should look into the Xperia PLAY. - OnLive MJ had OnLive video creator genius Eric Peltier as guest. He spoke about his work on creating the promotion videos for OnLive. - Warhammer 40,000: Space Marine multiplayer is delayed again - no official launch date is given. - Next week's releases will not be anything major. There will be 1 PlayPass game that will move into the PlayPack and 1 new PlayPack game added. - OnLive is working on the Saints Row: The Third - GenkiBowl VII add-on pack. - OnLive has a huge list of new UI features that they are working on that they plan to launch on the service (including adding an achievement total to user profiles). - Touch will come to more games in the near future. - GDC News: OnLive will be sponsoring the Independent Games Summit on March 5-9. - OnLive will be holding a logo contest for the OnLive MJ livestreams very soon. Stay tuned for next friday's livecast from OnLive community manager Matt Jensen. Last week during his live video cast, OnLive Community Manager, Matt Jensen told OnLive gamers that the Warhammer 40,000: Space Marine multiplayer would finally be released this week. Unfortunately OnLive has run into some unexpected issues, and the release has been delayed yet again. “Space Marine Multiplayer has hit a bug, that would require us to pull it and not release it this week,” said Matt Jensen during this week’s live video cast. The bug that the programmers ran into, is one that has to do with matchmaking within the multiplayer portion of the game. OnLive is currently working hard to get it released as soon as possible, but there is no new time frame provided for when we can expect to see it finally released. Back in early September, OnLiveFans made contact with Aldorlea Games, to inquire if they were planning to bring any of their games to OnLive. At that time, OnLiveFans introduced the game developer to the cloud gaming service, and helped them get in contact with OnLive. They didn’t know what OnLive was at the time, but they ended up talking with representatives from the company, and came away rather impressed. Aldorlea Games told OnLiveFans yesterday, that they have plans to bring some of their games to the service. While these plans are pretty solid, they are still a long ways off from being released. Aldorlea is a game developer that specializes in RPG and adventure games. The first game they ever released was Laxius Force back in August of 2008. This is one of the games that they have planned for the OnLive service. While Aldorlea is still in the preliminary stages of working out the final details, they are not yet sure if these games will be released in the OnLive PlayPack or sold as individual standalone PlayPass titles. Play the Laxius stars in the early years! An evil god has made a discovery. Now his attention is turned onto three youths who between them hold an unusual energy! Yet he is hindered - unable to act directly in their mortal world. In an attempt to twist the odds, he sets a deadly trap - what will happen? Visit the dreams of everyone you meet! Unique game and unique gameplay! The story of Random and Sarah who find themsleves engulfed in a war against the Order, a dangerous organization wishing control of the world. Choose visible or invisible monsters! Battle superb monsters including 8 Animal Kings! While these are not the AAA titles that a lot of OnLive fans have been hoping to see more of, these are fun addicting games that should be able to keep you busy for hours on end. The current state of computing is always under scrutiny and speculation. For years laptop and desktop computers have been proclaimed dead, most recently in the face of smartphones and tablet computers. OnLive Desktop may be the first sign of an evolution for everyday PC computing, one that would silence naysayers and utilize all types of application-driven computing devices. OnLive Desktop – from OnLive, the Palo Alto, Calif.-based cloud-gaming company – is a Windows 7 work environment, streaming from the cloud, as a simple downloadable app. Using the same technology from its OnLive cloud gaming client, OnLive Desktop promises to deliver a desktop computing experience on tablets and smartphones. 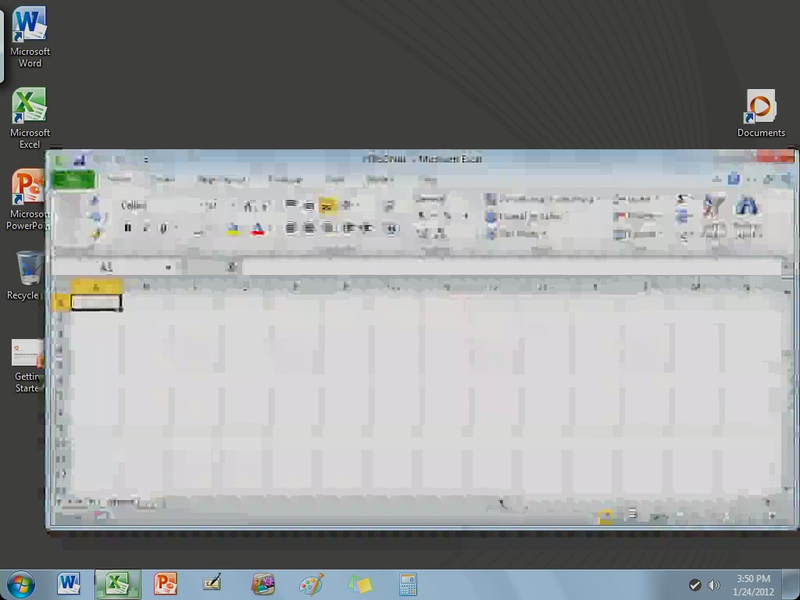 In this way, all devices do is display what’s on the Windows desktop and provide touch feedback. All of the processing is done on the backend. OnLive CEO Steve Perlman unveiled OnLive Desktop at the recent Consumer Electronics Show. The significance of OnLive Desktop is that, in time, users will be able to have a full Windows computer in the cloud, as long as they have a free app and an Internet connection. Currently the service is limited to the iPad, though it is scheduled to be released for Android, other iOS devices, Windows, and OS X. This review is of the OnLive Desktop Standard edition. Pro and Enterprise versions will release in the near future with more features. 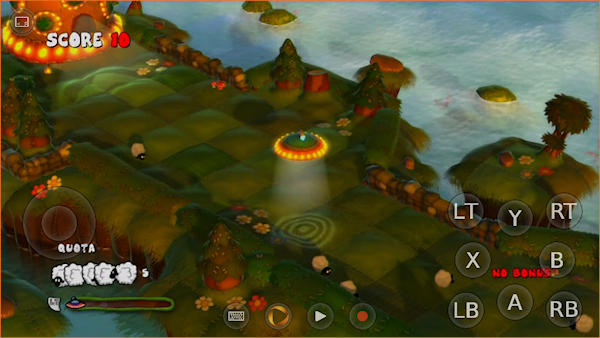 OnLive Desktop isn’t just a bare Windows 7 workspace. It comes with applications available for immediate use, including Microsoft Office Word, Excel, and PowerPoint, along with basic Windows applications such as Paint, Media Player, Notepad, Calculator, etc. All of the basics you would expect from a Windows 7 machine are immediately available through OnLive Desktop. There are a few key differences, mostly from the operating system. It isn’t your typical Windows 7 Home or Premium edition; instead, it’s Windows 7 Touch, designed specifically for touch-enabled devices. We’ll get to touch performance later on, but what that means is that the entire OS works similar to the Microsoft Surface table: a multi-touch surface in a Windows environment. 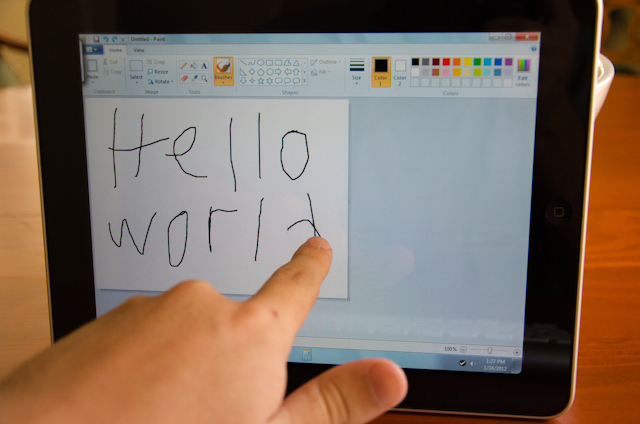 Several Surface applications are included, such as Microsoft Surface Collage, and a handful of Surface games. 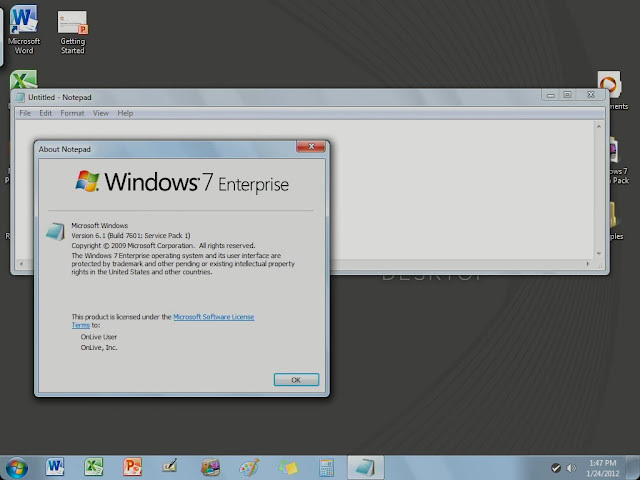 After a basic login screen, users are dropped at the standard Windows 7 desktop. The available Office applications, a folder of Surface apps, sample Office documents and the Getting Started Guide are all that sit on the desktop. For all intents and purposes, it is a Windows-based machine on an iPad. However, there are specific features missing on the Standard version of OnLive Desktop. There is no web browser. OnLive has struggled to find a solution to provide a web browser that handles all the data on their servers, but simultaneously doesn’t go to dangerous websites that could harm the servers. OnLive Desktop Standard does not have a built-in web browser, but then again iPad owners can just switch into the iPad’s Safari web browser, and go back into the OnLive Desktop when done. The bigger letdown is that copied material isn’t saved to the Windows clipboard, so copied text or images can’t be pasted to Windows. Settings cannot be adjusted for the Windows machine either, at least not yet. I found the touch cursor is slightly off, but there is no way to adjust it. No other functions can be adjusted whatsoever. Documents and data can be transferred to the OnLive Desktop through any computer by uploading directly to OnLive’s website. After logging in, users can upload up to 2GB of data (pay-for subscriptions will include more space). The biggest difference between a native Windows computer and the OnLive Desktop app is, of course, that the latter is streaming. 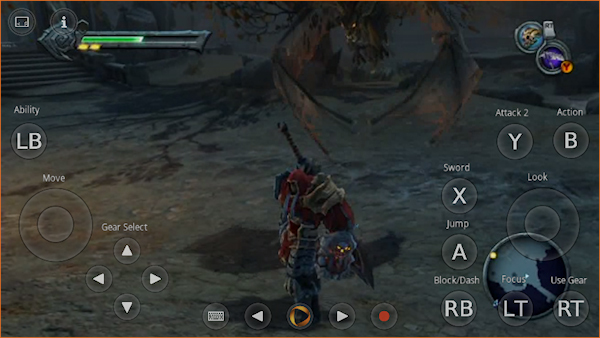 Unlike OnLive’s gaming client, which streams games through computers, tablets and smartphones, the video compression algorithm is different and made more suitable for standard desktop computing. It makes sense from a theoretical standpoint – videogames are far more intensive than, say, a PowerPoint presentation, which is almost constantly static. The video compression, or how Windows looks on the iPad, is solid, but rarely clear or crisp. 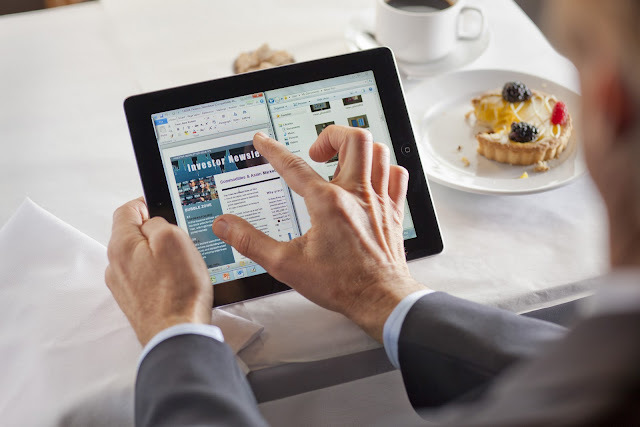 While typing several articles using Word, sometimes the text would be too difficult to read on the screen, even with an excellent Wi-Fi connection. In fact, how strong the connection is makes almost no difference in the quality of video, unless it’s a poor connection to begin with. What lowers the screen quality is, in fact, heavy use of the app. Typing articles, for instance, using an external keyboard (the Windows on-screen keyboard is absolutely awful; to take full advantage of everything OnLive Desktop has to offer, use a Bluetooth keyboard) constantly sends data up and down, to and from OnLive’s servers. It may be just a few bytes at a time, but the constant hounding seems to lower quality of video regularly. Every minute or so the screen quality dropped severely, but would return to visible quality in a few seconds. To get crisp, clean visibility requires users to not upload data consistently. In other words, the less you do – for instance, the less you use the touchscreen or the less you type – the less data is uploaded to OnLive’s servers and slowing down the connection. Watching videos, reading documents, and showing PowerPoint presentations all provide high quality visuals. More intensive applications like Microsoft Surface Collage, where users can manipulate photos by touch, don’t appear as distorted or pixelated as text-based apps. Graphically-intensive applications also have data processed by more powerful servers, though for now it’s too difficult to tell whether or not that is occurring here. Lag time is, for the most part, nonintrusive. Typing documents, creating PowerPoints, and almost every other task has slight and noticeable lag, but it isn’t a bother. Lag is most visible when using apps like Paint, where it may take a half-second for the paintbrush to reach where you’ve drawn. 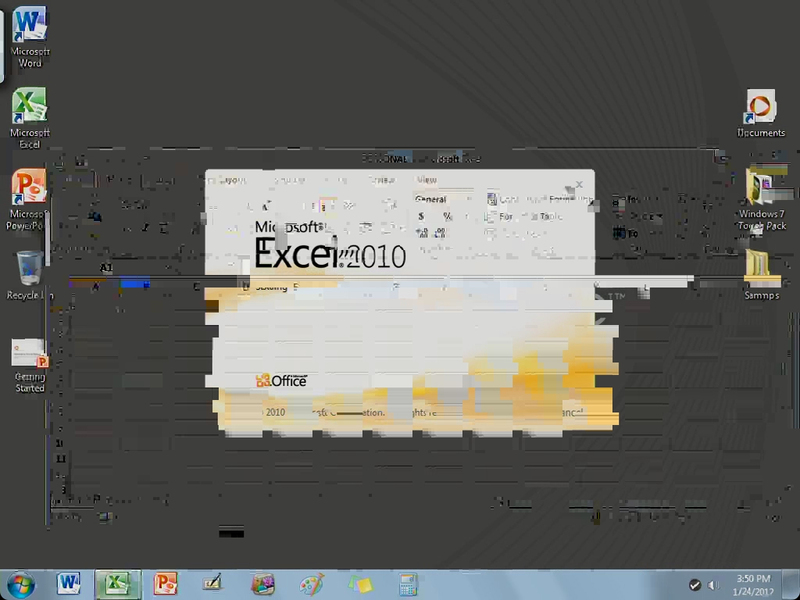 The lag currently present will not cause any workflow problems, at least for the currently available applications. 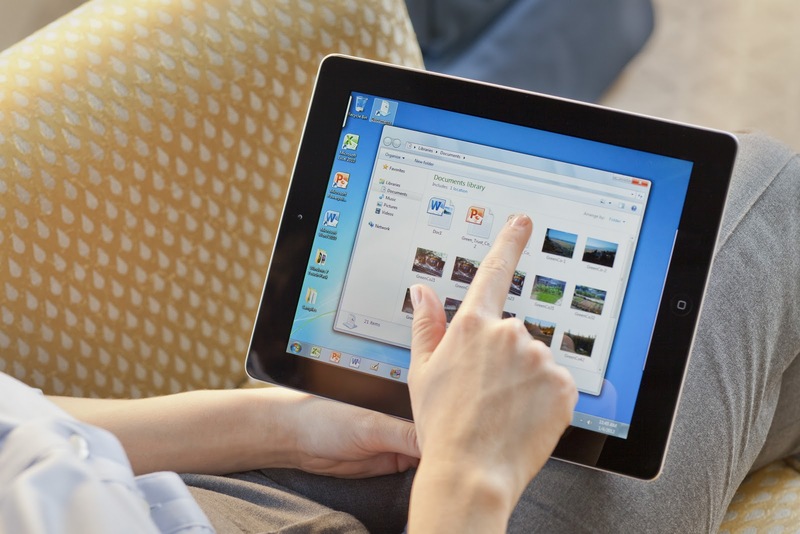 Today, OnLive Desktop is a solid application client that has all the basic functions of a Windows computer freely available for all iPad users. Along with the basic Office apps and the Windows 7 Touch environment, OnLive Desktop has the potential to change the way we use tablets and smartphones, and perhaps even PCs. With a Windows-based machine as readily available as an internet connection, this technology may be paving the way for the future of cloud computing. There are, however, severe limitations with what can be done currently with the service. File support is minimal, there are only a few applications currently available, the display quality is mediocre regardless of the internet connection, and there is no personalization whatsoever. Even with these misgivings, as a free service for anyone with an iPad, and soon with an Android or iOS based device, there is nothing like OnLive Desktop anywhere. VPN offers a similar solution, but it isn’t cloud based and requires a separate computer for users to manage. With OnLive Desktop, someone else handles everything. And an exceptional side effect to the service is because it runs on tablets, which generally have excellent battery life, running OnLive Desktop actually lasts longer than a traditional laptop. For now, OnLive Desktop Standard shows a taste of what’s to come with future service plans. There are plenty of improvements to be made on the service today, but I recommend all iPad owners download the free application and try it out. OnLive Desktop opens the first gateway into actual cloud computing, with a full desktop workspace. Apple may believe that it is cannibalizing Windows PCs with monstrous sales of iPads, but with a service like this, more people than ever may start using Windows in ways never before imagined. The last thing that brings all of this together is the relationships OnLive has with all the major ISPs in the country. If you've read their marketing collateral, you'll know that there are bandwidth and distance limitations to using OnLive for games. Those limitations are different (less restrictive) for desktops, but they still exist because the protocol depends on those relationships to provide a good experience. Essentially, OnLive's systems plug directly into all of the major ISPs in the country, which they call peering. This reduces the number of hops required to get from OnLive's servers to you. It's not a QoS thing, and OnLive isn't getting any preferential treatment on each of the major networks, it's just that the path the information takes is as short as possible. Part of the session initiation process is to identify the shortest path to the servers, and then lock that in. This is a much shorter section, because the answer is "it's all proprietary." OnLive has spent a lot of time assembling their backend, and they claim to not be borrowing bits and pieces from other companies. We went in wondering if they use some sort of packaged or open-source brokering solution, but everything they've done is on their own. There are data centers around the country and in Europe, so when someone signs in, they're pointed to the data center closest to them. Frankly, with the varied systems they run to support the games, a home-grown brokering solution makes sense. 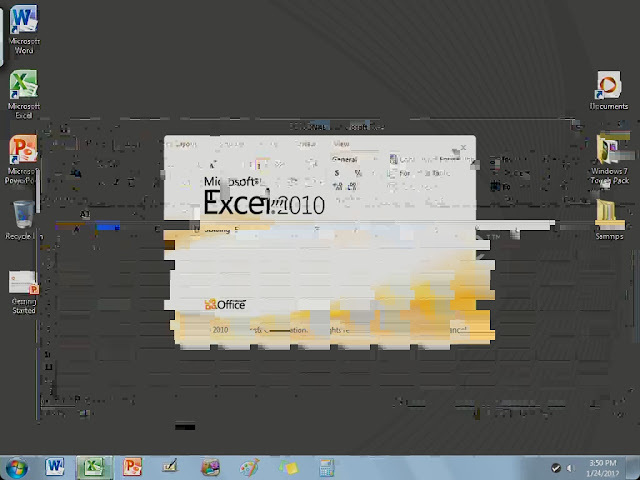 They're leveraging this system for the Windows desktops, too. I was told that OnLive has licensing experts that have all this worked out, but I was never told how that could be. I explained the licensing issues, the SPLA, the VDA, the fact that there are dozens of DaaS (Desktop as a service) providers that are trying to accomplish the same thing but can't due to Microsoft licensing restrictions. Each time, my question was deflected and focus shifted over to the device demos. It's been suggested that you don't need VDA if the remote machine is installed on a physical host, so this is looking more likely. Too bad we still have to guess. When giving away access to Windows desktops for free (or even $9.99/month as the OnLive Desktop Pro plan will do), it's not easy to make up for that cost, let alone the infrastructure required to support dedicated hardware for each installation of Windows. In the meeting we had, OnLive mentioned that they had predictable usage patterns where the games were used more heavily at night and the desktops during the day. If that's the case, perhaps they're leveraging that, and the video game solution is subsidizing the virtual desktop solution (or, in effect, leveraging unused resources during the day). You'd have to think that remoting video games would be subjected to the same license restrictions, so maybe this is something OnLive already addressed. If you watch the video that's on YouTube of Steve Perlman giving a demonstration at the NExTWORK conference last summer, you'll see that OnLive is very proud of their product. From a video game standpoint, they should be. 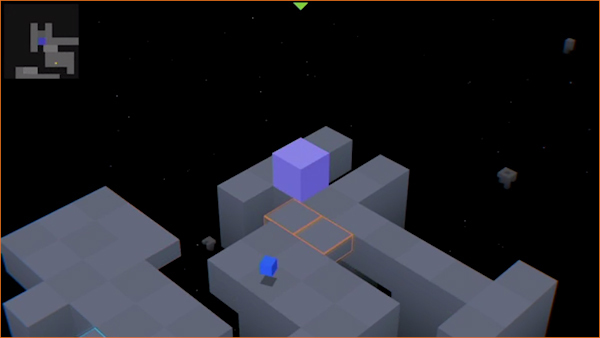 They've pulled off an impressive feat by enabling realtime 3D gaming over the internet. I think, though, that OnLive overvalues that technology and just assumes that it will work just fine for desktops, too. In the video I mentioned, you can see Steve comparing OnLive Desktop to Citrix, saying things like OnLive Desktop is "...kinda like what Citrix is doing for the cloud thing…except the remote desktop feels local. In fact, in a lot of ways it's better than local," and, after essentially shadowing a session, he says "...and again, for those of you who've used Citrix, you've never seen anything like this before." He goes on to show a demo of a Flash app from SpeedTest.net running in a session, showing what great speed the datacenter has. Beyond those versions, OnLive also has plans for an enterprise version of the solution that will essentially give organizations access to the bare metal, onto which they can install anything they want. In this situation, it's all about using OnLive's network and compute power, and the customer assumes the software acquisition and licensing costs. This solution will be interesting to follow, since there are so many other companies out there that have DaaS (Desktop as a service) solutions and hybrid cloud offerings. OnLive's key attractions at this point are their network peers and their protocol, and if people can get better performance in on more devices with more management capabilities elsewhere, OnLive Desktop Enterprise may never make it out of the gates. SOURCE: Gabe Knuth at BrianMadden.